The Ranji Trophy encounter between Delhi and Andhra starting on Thursday at the Feroz Shah Kotla will be his last first-class match. 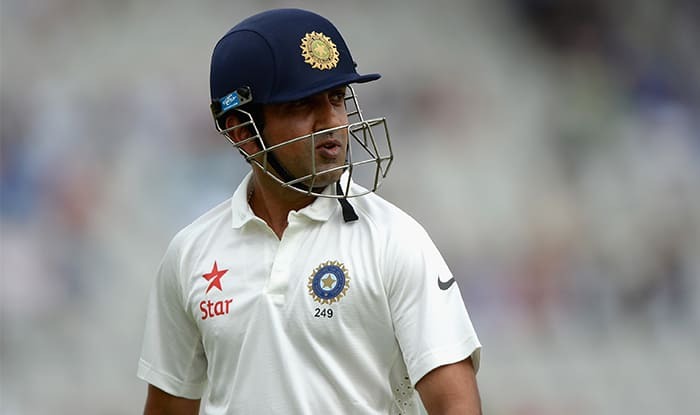 Indian cricket team batsman Gautam Gambhir has officially announced his retirement from all forms of cricket on Tuesday. The Ranji Trophy encounter between Delhi and Andhra starting on Thursday at his home ground Feroz Shah Kotla will be his last first-class match. Gambhir made his last appearance in the coveted India jersey during the first Test against England (2016) in the home series. Overall, Gambhir played 58 Tests, scoring 4154 runs, at an average of 41.95, including nine centuries and 22 fifties. He played 147 ODIs, scoring 5238 runs at an average of 39.68 and a strike-rate of 85.25. Gambhir played a pivotal role in India’s historic victories in the inaugural edition of ICC World T20 and also during the ICC World Cup 2011, he played match-winning knocks of 75 (against Pakistan) and 97 (against Sri Lanka) which helped the men in blue to lift the world titles. The 37-year old made an official announcement on his personal Twitter handle, he wrote in the post, “The most difficult decisions are often taken with the heaviest of hearts. And with one heavy heart, I’ve decided to make an announcement that I’ve dreaded all my life”. The calibre of Gambhir can be judged from the fact that he achieved the numero uno rankings in cricket’s most traditional format (Test cricket) in 2009. He was also ranked No.1 T20I batsman in the world in 2007. While in ODIs, Gambhir achieved his career-best 8th rank in the limited-overs format. Gambhir was part of the Indian team that ascended to the No.1 spot in Test cricket in 2009 under the leadership of MS Dhoni. His rich vein of form in 2008 and 2009 meant he also earned the ICC Test Player of the Year award for 2009. The Delhi-born cricketer also had an immensely successful career in the cash-rich Indian Premier League. He led one of the most popular franchises – Kolkata Knight Riders to glory in 2012 and 2014. Gambhir is only one the three captains to lift the IPL trophy twice in his career. He is also the second most successful captain in the history of the domestic league with 71 wins in 129 matches.